Hi everyone! Seems we're lacking a Forum again. So...umm...topic. 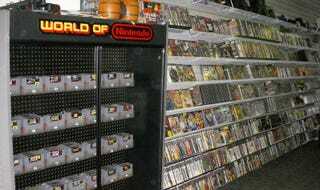 I'm going to a new used game store tonight that just opened in town. I'm so excited! I love finding things I always wanting to play and never got too. That's how I found FFVII! What about you, my fellow TAYers? Ever find something great at a used game store? Or how about what you are up to this weekend?